This was supposed to be a conference of cultism. The standard received wisdom was that Brighton would be where Labour would celebrate a glorious defeat while Momentum would yell down non-believers, front benchers would be banned and the dictatorship of the grassroots would begin. Obviously, it wasn’t like that. Compared against two years ago in Brighton and even last year in Liverpool, where the different wings of the party lived rather different lives, there was a real effort to work together. Perhaps that’s because the issues of power and control within the party are now settled and therefore there is nothing to be gained by not working together. Sometimes, as at the Progress rally or during Tom Watson’s speech, it seemed like people were trying a little too hard. Sure, there was a pretty synthetic row about the nature of the debate on Brexit. More seriously, there was a noisy argument about whether antisemitism has and/or should have the attention of the leadership. We will be able to judge whether the leadership is serious about this only when the new rules have come into effect – and we note that Iain McNicol remains in post as general secretary despite efforts by the fringe left to have him resign. The existence of the satellite The World Transformed conference meant that it was at first hard to establish the centre of the conference’s energy. The Hilton Metropole remains a wretched venue for a major conference. You meet in partitioned rooms with the feel of a building site: it felt as though there were fewer things going on in there than in previous years but those taking place were truly packed out. The conference hall itself was a place of drama and discussion. It is hard to remember that New Labour’s conferences would reject that energy in favour of fluffy Q&A sessions with, for example, Stephen Byers making a horrible joke about his meeting Tony Blair being the equivalent of a Sure Start interview. 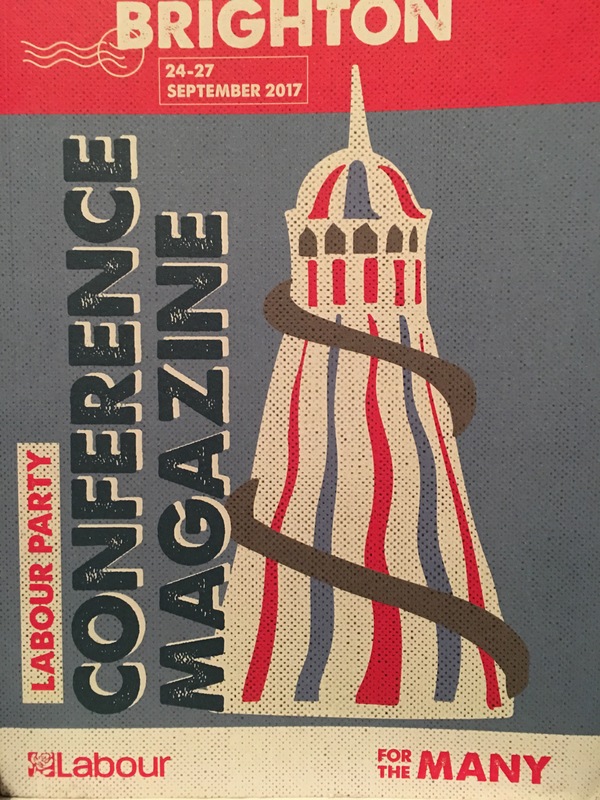 Previous Labour conferences I’ve attended have got bogged down in policy (eg. before the 2015 election, when Labour was quite reasonably preparing for office) or have been about different wings of the party trying to score debating points against each other. This on the other hand was a conference, with differing points of view being discussed and the experiences of people who wouldn’t previously have come along. As a result, if you did manage to get into the fringes you got to hear some amazing, inspiring and thought-provoking personal testimony: stuff to take home, think about and act on. This was the conference of a party that feels that it can gain power, but wants to make sure that if it should, then that time in office will not be wasted. I’d be surprised if there were an election soon, and what happens to small-m momentum is a good question. But for now, Labour is the happiest I have seen it in years. This entry was posted on 27 September 2017 by Cafe thinking in Party conferences, Politics, Strategy and tagged Labour Party, Party conferences.